BioMarin Pharmaceutical Inc. (NASDAQ: BMRN) said an ongoing open-label extension study treating patients with Brineura continued to show a reduced rate of decline compared to a natural history cohort of ceroid lipofuscinosis type 2, or CLN2 disease, for three years, as measured by the CLN2 Clinical Rating Scale. "The data presented today shows a durability of treatment effect in the primary efficacy endpoint where response to treatment was seen in 19 of 23 or 83 percent of treated patients after three years," the company said. Brineura was approved by the FDA in April 2017 to slow the loss of ambulation in symptomatic pediatric patients ages 3 and older who have late infantile neuronal CLN2. Cellectis SA (NASDAQ: CLLS) said it has priced its underwritten public offering of 1.889 million units at $1.50 per unit. Each unit consists of one ADS and a warrant to purchase one ADS as well as 2,4448 million pre-funded units. Each pre-funded unit, priced at $1.49 per pre-funded unit, consists of a pre-funded warrant to purchase one ADS and a warrant to purchase one ADS. Seattle Genetics, Inc. (NASDAQ: SGEN)'s Q4 revenue increased year-over-year from $129.6 million to $174.5 million in Q4. The net loss, however, widened from 41 cent per share to 75 cents per share. The bottom-line result was worse than the consensus estimate for a loss of 43 cents per share, while revenue exceeded estimates. The stock declined 8.49 percent to $67.49 in after-hours trading. Axovant Sciences Ltd (NASDAQ: AXON) reported a Q3 net loss of 27 cents per share compared to a loss of 54 cents per share last year. The loss was wider than the consensus loss estimate of 26 cents per share. As of Dec. 31, the company had $84.9 million of cash and cash equivalents, working capital of $46.2 million and long-term debt of $28.3 million. The stock fell 4.01 percent to $1.17 in after-hours trading. 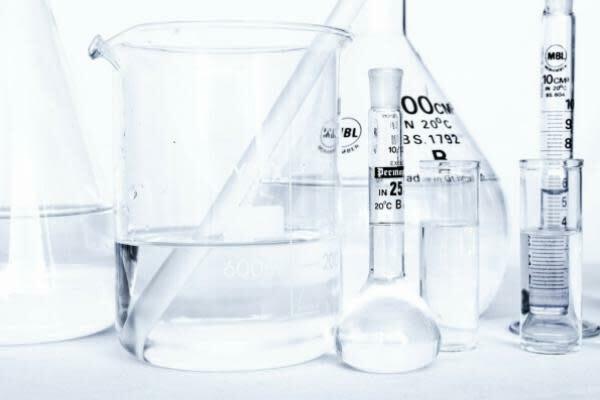 Alnylam Pharmaceuticals, Inc. (NASDAQ: ALNY) reported a loss of $1.82 per share on a non-GAAP basis for its Q4, wider than the loss of $1.20 per share for the year-ago quarter. On a GAAP basis, the loss widened from $1.48 to $2.09. Total revenue declined from $37.924 million to $21.033 million. The stock added 1.24 percent to $81.80 in after-hours trading. MEI Pharma Inc (NASDAQ: MEIP) reported Q4 revenue of $2.048 million compared to $358,000 in the year-ago quarter. The company reported a profit of 17 cents per share compared to a loss of 16 cents per share in Q4 2017. Analysts, on average, estimated a loss of 12 cents per share on revenues of $2.08 million. The stock gained 2.23 percent to $2.75 in after-hours trading. A joint meeting of FDA's Psychopharmacologic Drugs Advisory Committee and the Drug Safety and Risk Management Advisory Committee is scheduled for Tuesday, Feb, 12 to deliberate on Johnson & Johnson (NYSE: JNJ) unit Janssen's NDA for Esketamine 28 mg. Esketamine is a single-use nasal spray device being evaluated for treatment-resistant depression. Catalyst Biosciences Inc (NASDAQ: CBIO) is due to release updated interim Phase 2/3 interim data for its hemophilia candidate Marzeptacog alfa at 8:30 am CET at the European Association for Haemophilia and Allied Disorders, or EAHAD, Congress. Uniqure NV (NASDAQ: QURE) will present updated Phase 2b data for its hemophilia B treatment candidate AMT-061 at the EAHAD Congress. Harpoon Therapeutics, an immuno-oncology company, priced its 5.4-million-share IPO at $14 per share, within the estimated price range of $13-$15. The shares will be listed om the Nasdaq under the ticker symbol HARP. Gossamer Bio priced its upsized IPO of 17.25 million shares at $16. The shares will be listed on the Nasdaq under the ticker symbol GOSS.